This month's theme was 'Anything But Ordinary' (featuring a lipstick themed bag), and I would say this one was a pretty solid win. 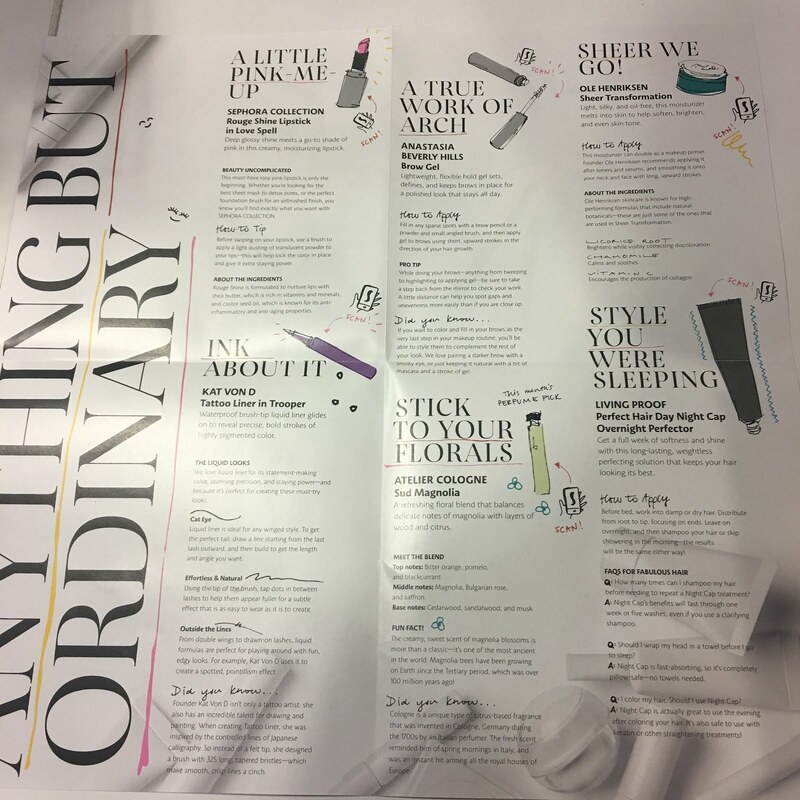 I'm also definitely still in love with these little descriptor pamphlets which are always a treat and totally helpful and bring me so much joy to look through. 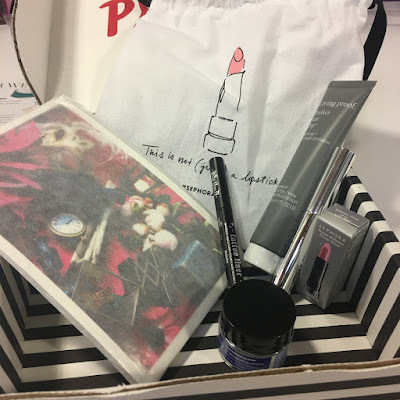 Ok, i'm definitely way happier this month for a few reasons- 1) i was finally able to RSVP for the Play date at my closest Sephora–Something i literally haven't been able to do since i started getting the boxes–so I'm super stoked about that. 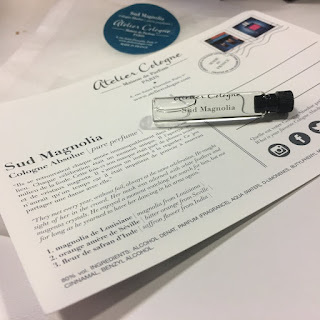 2) there was another Atelier Cologne which while i would of course prefer to try a new brand, I'm borderline obsessed with these fragrances and the packaging even the testers come in. 3) EVERYTHING but one small item is totally new to me, and that one thing is actually something i love. Woohoo! Complete success. So let's dive in! Lipstick IS MY JAM so getting another lipstick in a box is awesome. But ok, Make Up For Ever has totally ruined me for regular lipsticks because this does in no way stack up to the Artist Rouge collection. I also really don't love the color as this is basically a basic baby pink–like Barbie status– and i'm a bit too fair for that. 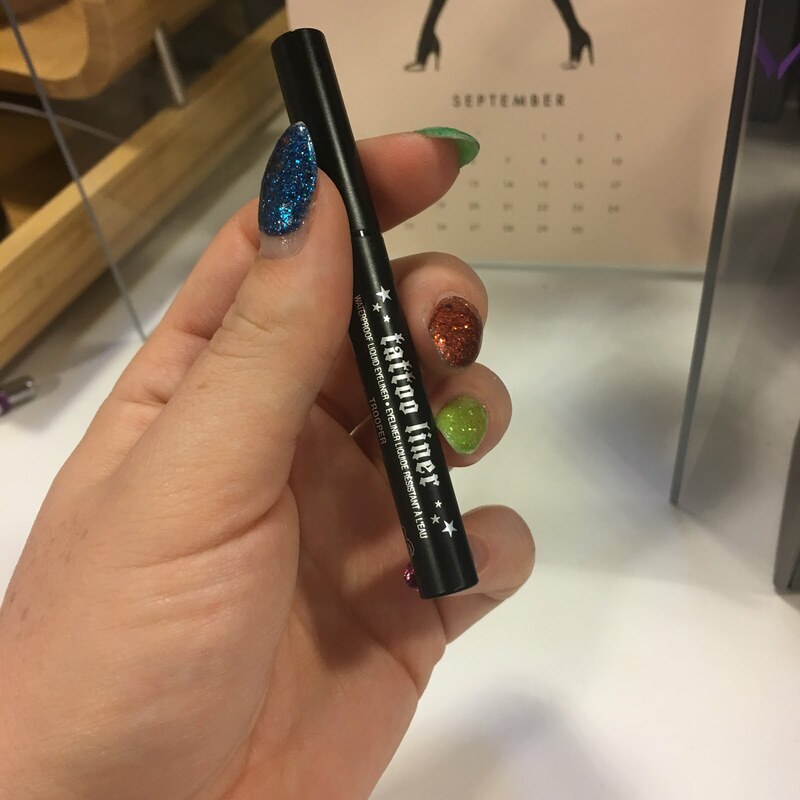 The texture is fine, there are just better out there, and the flavor/scent is a nice fruity one that really isn't overbearing or offensive, it's super shiny without any sparkle, and I'm basically a child with my lipstick, so this doesn't really do it for me. But in all fairness Sephora brand always puts out a solid product and this is no exception. 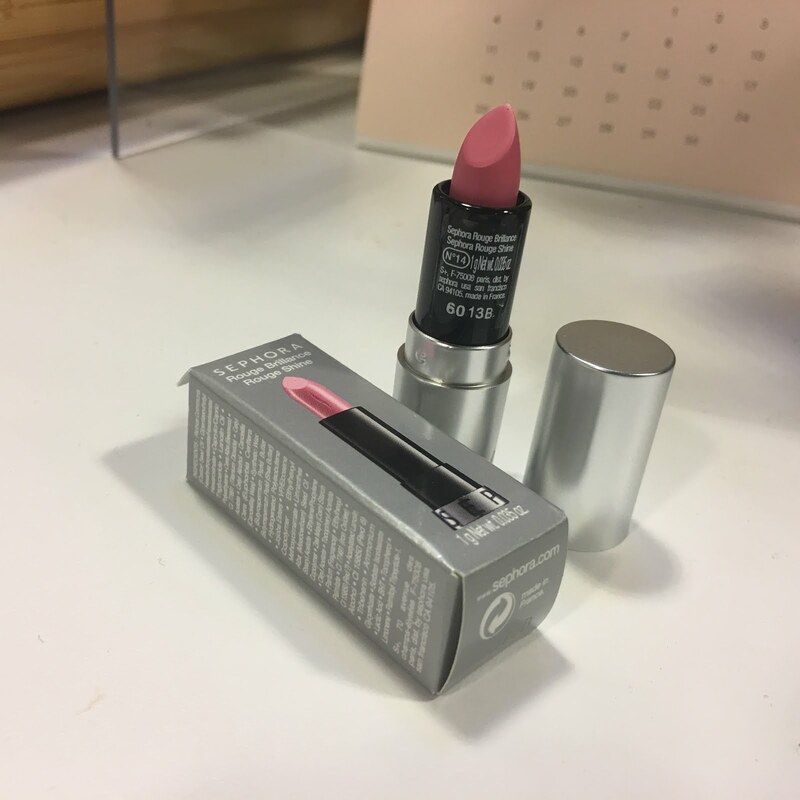 I'd probably be more into it if i liked the color, but this seems like something you could wear even with chapped lips and feel nice about it, as it doesn't seem thick and opaque, more sheer and soft. I Love KVD products, I really do. 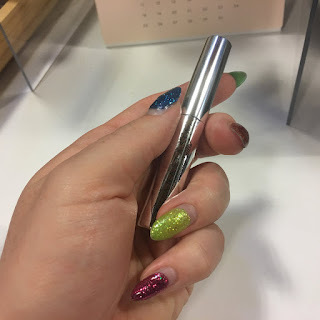 I am not the biggest fan of like 'pen' or 'marker' eyeliners though, so while i've heard a million great thing about this, I never tried it out, so it was super to have it in this month's box. Now, I've tried Stila's marker (which everyone raves about), UD's new Perversion pen (which is actually amazing), and now this, so I feel like I can compare them; Stila's formula is really nice, it goes on smooth and dark–i don't love the applicator and it did wear off of my oily lids pretty easily; UD's new Perversion Fine Point Pen is SO DARK, the pigmentation is to die for, and the longevity is fierce–it's totally waterproof and holds up really well if you don't rub your eyes; KVD's brush however has no equal- the fact it's a brush instead of a felt tip is stupid awesome and goes on so smooth and crisp omg. The Only drawback with KVD is it's just not dark enough. The black is so light and not as opaque as i prefer, but this applicator brush is fantastic and i got The Best lines with it. 1/2 because the brush is too good, and i think in other colors this would be a lot of fun. This is the one item I'd already tried before and actually use on the daily. It's a great product that works amazingly well with absolutely no residue, no flaking, and a totally non-crispy lovely finish. 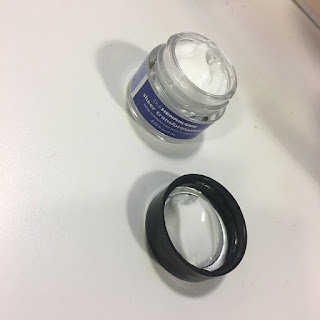 This is THE clear setting brow gel to own/use, so while it's not a new item for me, it's not a negative. 2/3 – i'm giving it a point cuz it's a great product, not due to excitement. This gets two pictures cuz i love it. 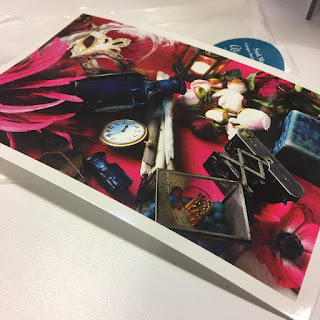 Sephora is continuing to REALLY impress me with these fragrance samples...this is the second one I've gotten in a box from this brand and i am JUST AS IN LOVE with it as the first! At this point i actually don't know which scent i need to go buy and permanently add to my arsenal of perfume. It's so light yet has a really lovely presence, they're just killing it with these unisex scents. Also, I really can't get enough of the little description cards that accompany the samples, they completely evoke some beautiful feeling and just give a whole story behind the fragrance that is so compelling i want to wear it constantly. This moisturizer might even be better than the Lancome gel from last month under makeup. I seriously had such flawless coverage that lasted ALL day with absolutely no flaking or separation, nor oiliness i usually get midday! It absorbed into my skin quickly, made it smooth and soft to the touch without any feeling of greasiness, so was great before even applying any foundation. 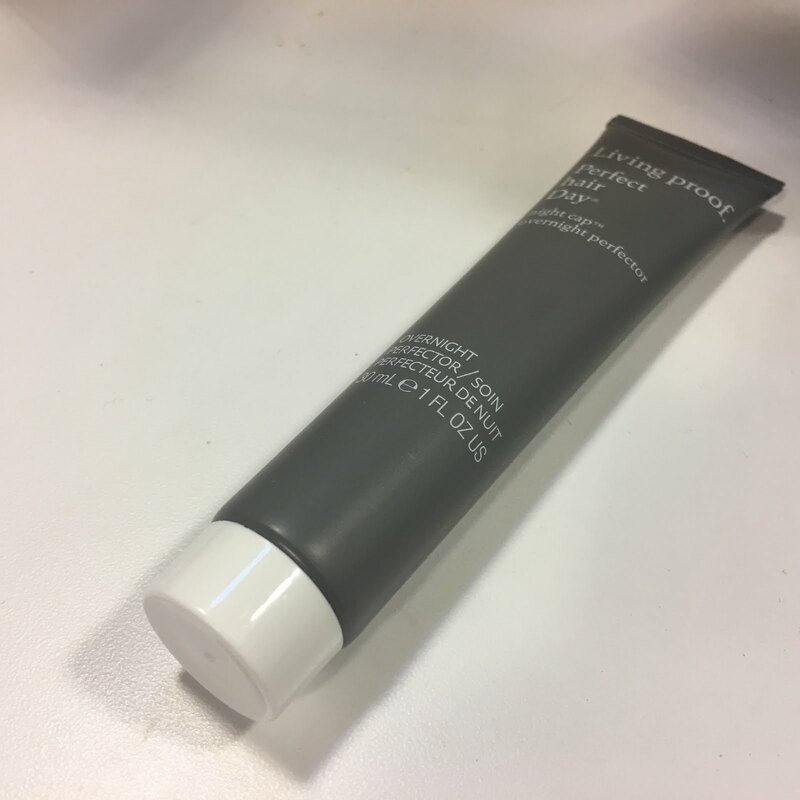 This is an incredible product, so while i am pretty set in my ways for my current moisturizer, this might have replaced all of my foundation priming needs. 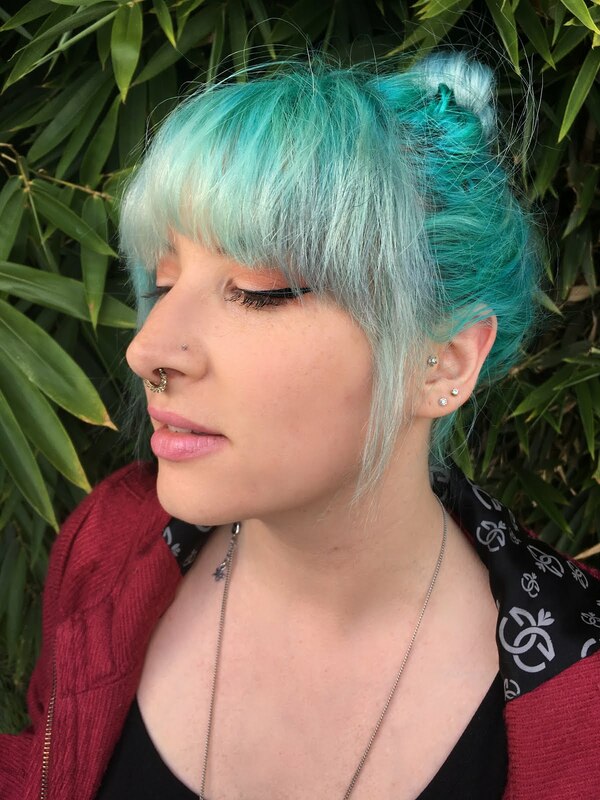 I have used Living Proof in the past, and while i've had ok results, i just haven't really found a standout product that just really does it for me from them. This product definitely delivered what it promised on the quick absorption and pillow-safety–my hair felt dry immediately after application and my pillow couldn't tell the difference. But after using it, i can say my hair was a bit softer, although frizzier, and my normal detangled that i use didn't work at all while i was trying to dry my hair, which has pretty much never happened before, so i would have to say this had an impact. I don't know that this is best for curly-haired people because of the frizziness and tangling i experienced, so this is something i definitely won't go back for.